This sturdy cupcake insert will ensure that two dozen of your cleverly crafted mini cupcakes are prevented from plowing into one another, spoiling your provocative presentation of sweet treats. Choose this two dozen mini cupcake insert along with your favorite two dozen mini cupcake box to surround your mouthwatering works in a cocoon of class. Turn the cupcake insert inside out when using Natural Brown cupcake boxes for a warm and welcoming showcase for your tiny tasties. 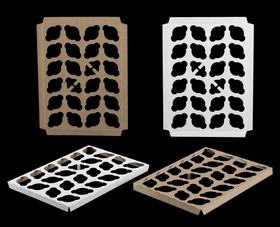 These inserts are the perfect size to stabilize and transport mini cupcakes when added to the 10" x 14" box. It even has little props in the middle so the insert doesn't sag. Very nice quality product. Fast shipping too. Inserts are great and the shipping was super fast! Thank you. We've used this company exclusively for our inserts and boxes for the past seven years. Their products are not only top quality, the service is impeccable! We have never been disappointed with an order, and the items always arrive exactly when they should. Thank you! I always buy my boxes and inserts from BRP Box Shop and will continue to buy from them in the future! Each time I purchase from brpboxshop, I'm more than satisfied. Mini cupcakes can often vary in size due to the liners used and these inserts are perfect for all. Great products! BRP boxes are the best! They're sturdy and classy looking! And the free shipping is great! I found BRBox through several instagram accounts. I had trouble with my cupcakes shifting in my boxes during transit. The mini inserts provide the extra layer of protection against accidents. Customers love the inserts. 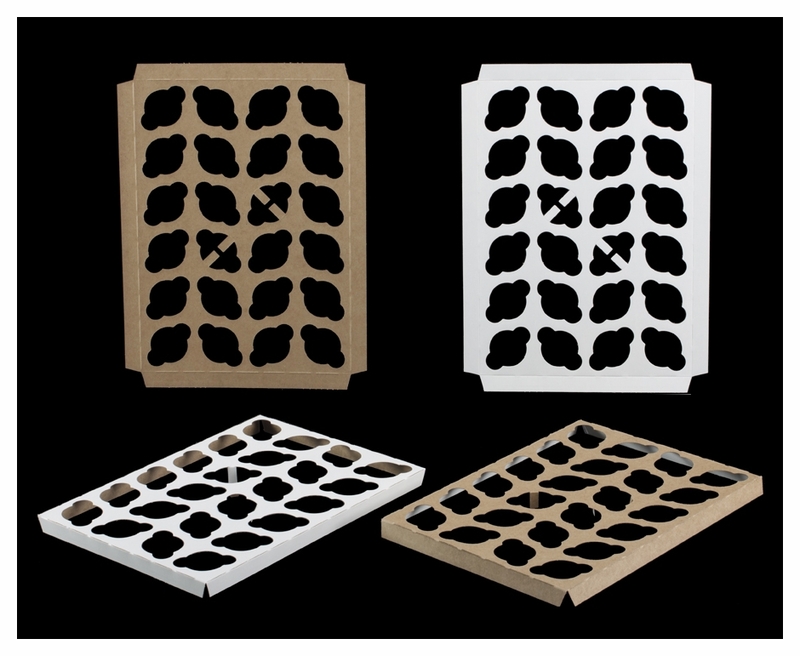 The window box with insert is a much nicer presentation than the plastic containers. I am a little confused. What is the difference between the mini and skinny mini. I was not aware that there were 2 different sizes for mini cupcakes. I will be purchasing within a few weeks, but not sure which to buy now. Hi Jeanette, We had bakers ask us to make a slightly smaller insert for their slightly smaller mini cupcakes - so we did! 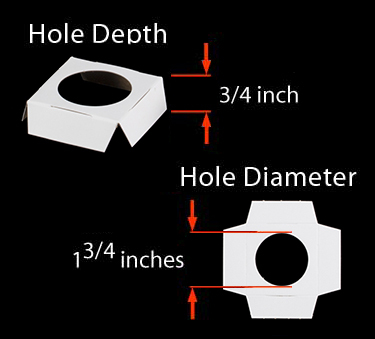 :) The Mini insert has a diameter of 1 3/4" with a hold depth of 3/4" and the Skinny Mini has a diameter of 1 9/16" with a hold depth of 5/8". Most people order the Mini. If you would like to try some samples first, you can find the 'Get Samples' link on the left side of the webpage. Let me know if you have more questions.